This is Polly. 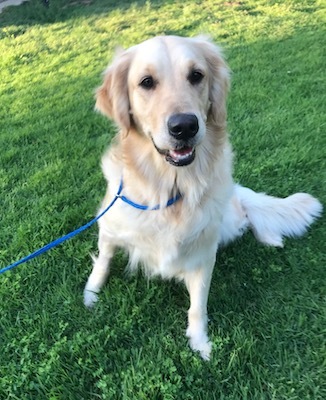 She is a beautiful, blonde, 2 year old Golden Retriever. She is very sweet, friendly, good with other dogs, cats and kids. She walks nicely on the leash, housetrained and has an excellent temperament. Polly is looking for a loving home.